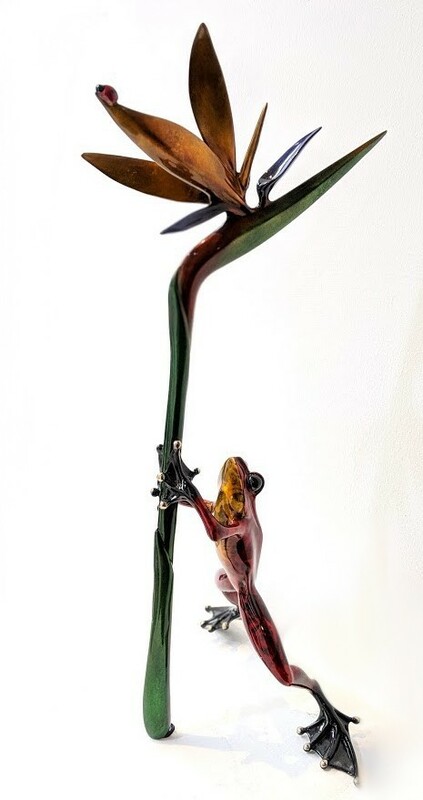 Blaze, Tim Cotterill Rare Frogman Bronze. The bold red of Blaze is simply stunning, made all the more delightful by the intricate plant and delicately placed ladybird. Edition Variation of Paradise, Blaze in an Edition Size of just 35. 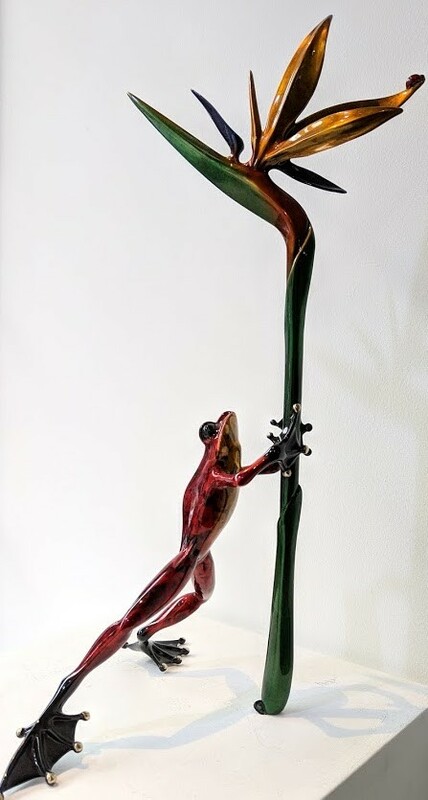 Dimensions: 8.5" x 9.5" x 18.25"